"Preface" is a seven vignette experience showcasing Tansamai shirting and suiting to tell the story of the Founder, Creative Director and the brand. Our hope is to provide context to our unique bespoke point of view. All attendees receive FULL credit from the ticket price towards their relationship with the brand. Venue generously donated by the Georis Family and the City of Seaside, California - City Hall. An outdoor lounge will be curated by Eddison & Melrose Tea Room. Music curated and provided by local pianist, Richard Carr. Photography by Michelle Magdalena Maddox. 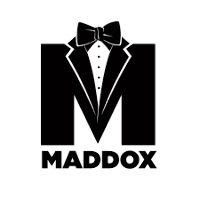 Live stream provided by House of 8 Media available for those who are unable to attend in person at maddoxhaberdasher.cleeng.com. You are able to join virtually the excitement of Preface = Tansamai + Maddox. Watch a high quality LIVE video stream brought to you by Tansamai. Enjoy, interact and watch the live feed from any of your internet connected devices. On Nov 11, 2016 17:30 PST to Nov 12, 2016 18:00 PST you will come back here and watch the show LIVE!! On behalf of Tansamai Cleeng teams provide support before, during and after the event. Due to high traffic just before and during the event, critical requests will be handled first, so please moderate your questions and only send if very urgent. Please try not to send multiple requests.